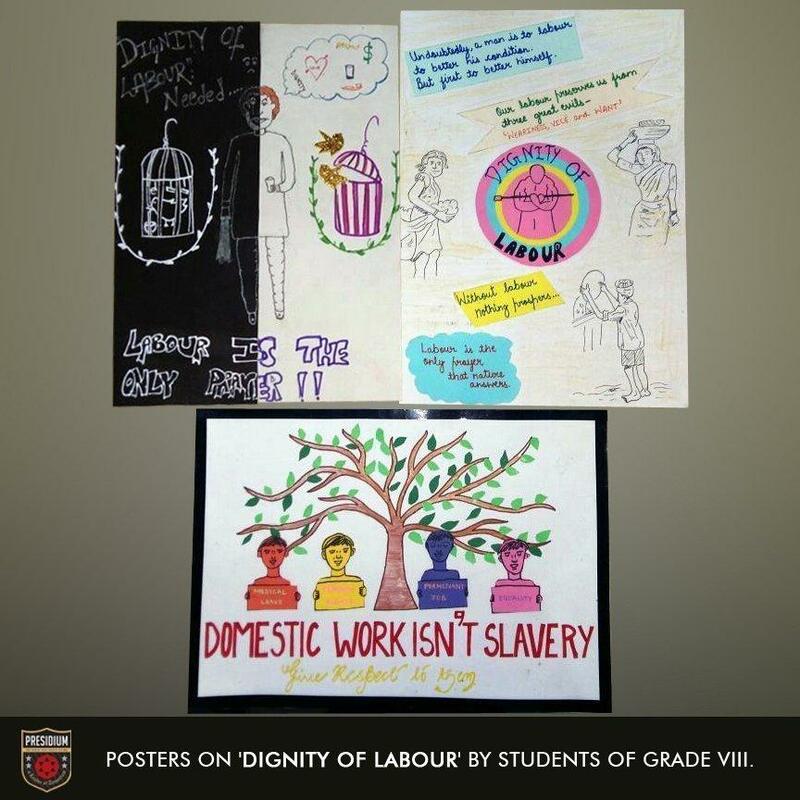 The senior students from Presidium, came together to raise awareness about the rights and dignity of labourers in India, through posters and slogans. 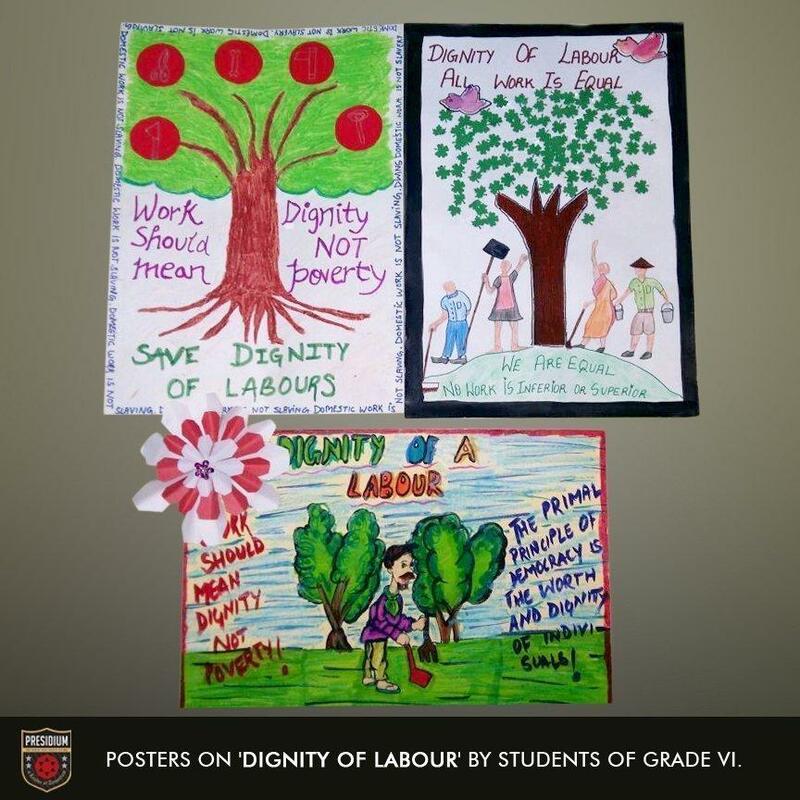 The labourers toil hard to fulfil the necessities of our society but their work remains largely unrecognized. 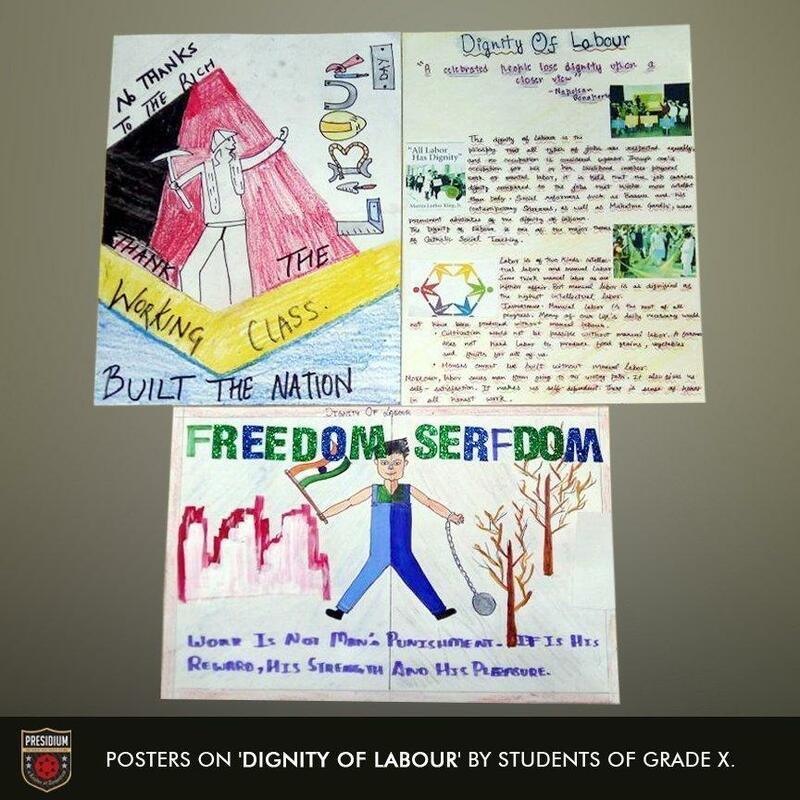 Students participated in the inter club activity and as a mark of respect and gratitude towards the working class they came up with powerful posters and slogans on the subject like ‘Work should mean dignity not poverty’; ‘No thanks to the rich, thank the working class’ etc. 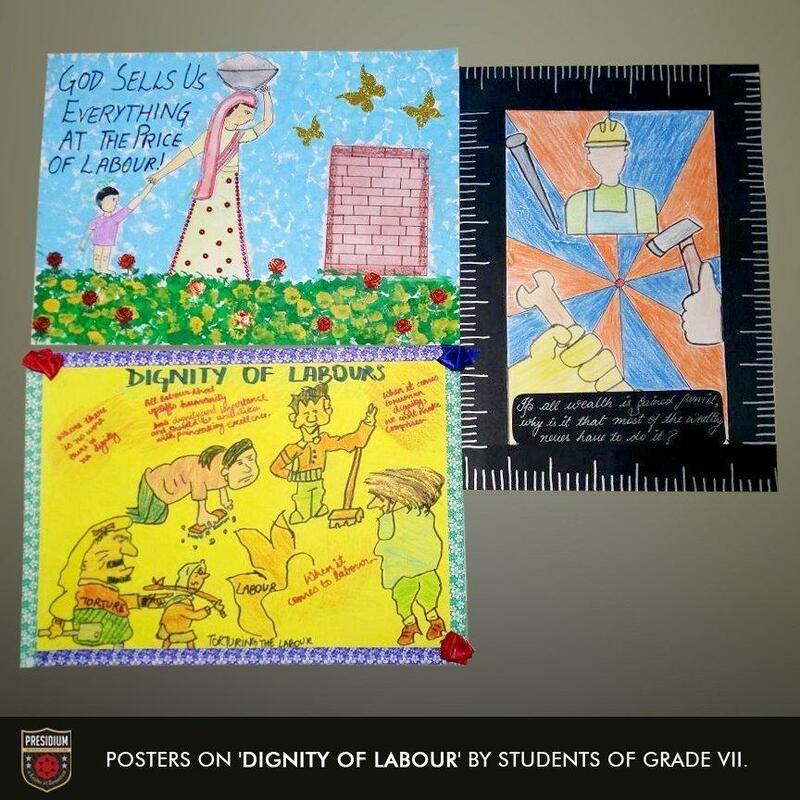 Through such activities students learn to take a step towards becoming responsible citizens who recognise the problems and sufferings of the lesser fortunate in the society.